League City Body Shop is proud to offer a full range of garage services to vehicle owners located in the greater League City area. Below is a list of our most popular garage services. If the service you are looking for is not listed here, or if you would like more information on any of our services, please do not hesitate to contact us today. 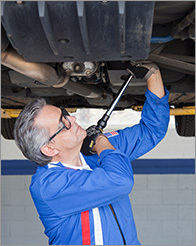 League City Body Shop will gladly offer pricing information on any of these League City Garage services. We also offer repair and maintenance packages for your convenience, and our prices and level of workmanship can not be beaten in the League City area so contact us today! All information provided is provided for information purposes only and does not constitute a legal contract between League City Body Shop and any person or entity unless otherwise specified. Information is subject to change without prior notice. Although every reasonable effort is made to present current and accurate information, League City Body Shop makes no guarantees of any kind.